The Breath is guitarist Stuart McCallum and singer Ríoghnach Connolly. Based in Manchester, their unique take on alt-folk journeys from lush, beguiling storytelling to uplifting, punch-the-air anthems. 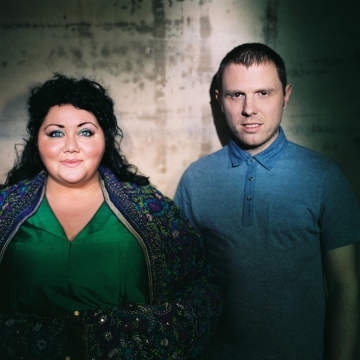 At its heart is Rioghnach’s deeply soulful, utterly engaging, stop-you-in-your-tracks voice alongside Stuart’s understated brilliance and their exquisitely crafted, personal songs. Yet it’s the emotional depth of the songs and the remarkable connection the duo share on stage that make The Breath’s live performance so compelling. Their latest album Let the Cards Fall, is a collection of songs allowed to mature and breathe without losing the multi-textured kaleidoscope of sound that marked their debut, Carry Your Kin. Lemoncello - Laura Quirke (vocals, guitar) and Claire Kinsella (cello, vocals) started performing together while studying in Maynooth University.